ROAD SAFETY and breakdown organisation GEM Motoring Assist is urging all road users to put safety at the top of their 2019 agenda. Thinking about road safety makes particularly good sense in January. After all, there is the end of the holidays and the big return to work to contend with, as well as the long nights, the threat of bad weather and often the worry that goes with a pile of Christmas bills to pay. Any or all of these can play havoc with our attention on journeys, according to GEM. GEM road safety officer Neil Worth said the New Year offered everyone a perfect opportunity for resolving to reduce risk on road journeys. “We admire those who are determined to improve their fitness, commit to a month without alcohol or any other healthy plan. But if we all committed to a few minor changes in the way we use the roads, the benefits for everyone would be significant,” he said. 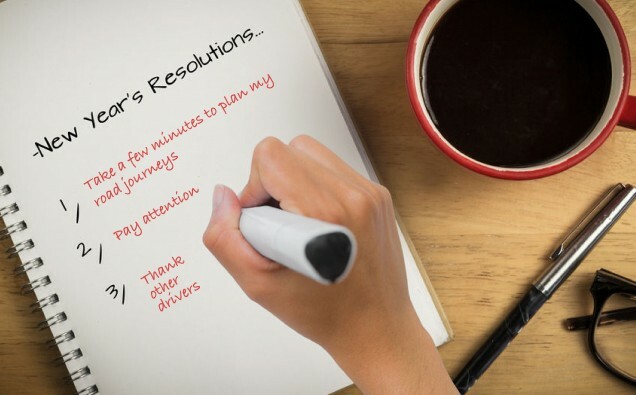 “It could be as simple as leaving five minutes early to keep stress levels down on journeys, refreshing your knowledge of the Highway Code or making a commitment to banish distractions on journeys. These can all be achieved with very little effort, but the effect they can have on a safer road environment is massive. Take a few minutes to plan and check your route before you set out. This will help ensure you don’t get lost, and by leaving five minutes early you won’t end up rushing and making risky decisions. Give the road your full attention. Don’t be distracted by passengers, mobile phones or private thoughts. Make a pledge that you won’t react to the actions of other drivers. Nobody’s perfect, so don’t waste time and increase risk by trying to rebuke another road user. Focus on holding back and staying safe. The speeds you use are entirely your own choice. No one can tell you to exceed the speed limit. So, ensure you make wise decisions to keep your speed both legal and appropriate for the conditions. Time and space are two commodities you can never have enough of when driving!